Goloid was an alloy of gold, silver, and copper, with a ratio of approximately 24 parts silver to 1 part gold. The composition was patented by Dr. Wheeler W. Hubbell of Pennsylvania. 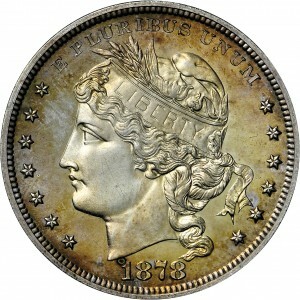 The theory was that the alloy would eliminate any competition between gold and silver in financial matters. Congress passed a bill in late 1877 to create a goloid dollar along with smaller denominations, the weight and fineness to be specified on the coin. Only dollars were struck in this alloy. Purchased from Bowers and Ruddy Galleries, August 11, 1971. 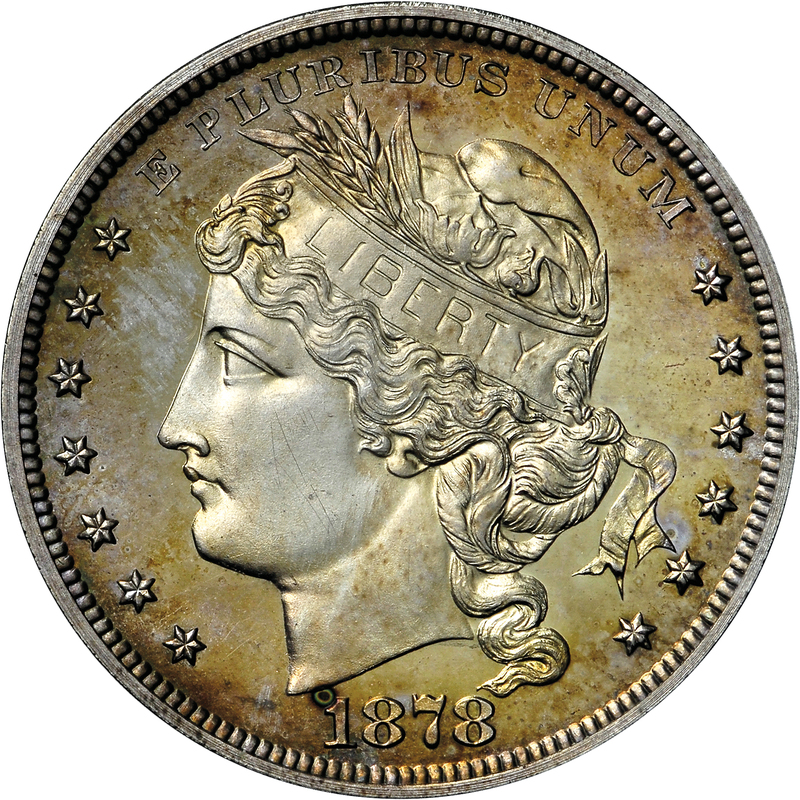 Head of Liberty to left wearing Phrygian cap, LIBERTY on cap band, cotton and wheat on cap, seven stars before portrait, six stars behind, E PLURIBUS UNUM above portrait, date below. 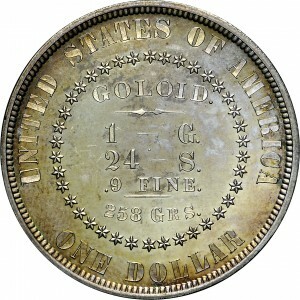 Central circle of 38 stars, one for each state of the Union at the time, UNITED STATES OF AMERICA ONE DOLLAR around the circle, GOLOID 1-G. 24-S. .9 FINE. 258 GRS. on five lines within circle of stars.